1. They always do special events – at the moment there’s a South African garden outside, but they’ve also done everything from Chinese calligraphy to Mexican guitar nights with wine-tastings, and they do regular talks and late night openings and really imaginative exhibitions. And as you know, learning stuff + wine = my kind of culture. 2. The building itself is just amazing. 18th century outside, 21st century Norman Foster inside – making the largest indoor courtyard in the world. Its stunning – our froggie friends will hate this but I think its more impressive than the Louvre inside. But you’re better at making toasted cheese sandwiches, so we’re even, non? 3. 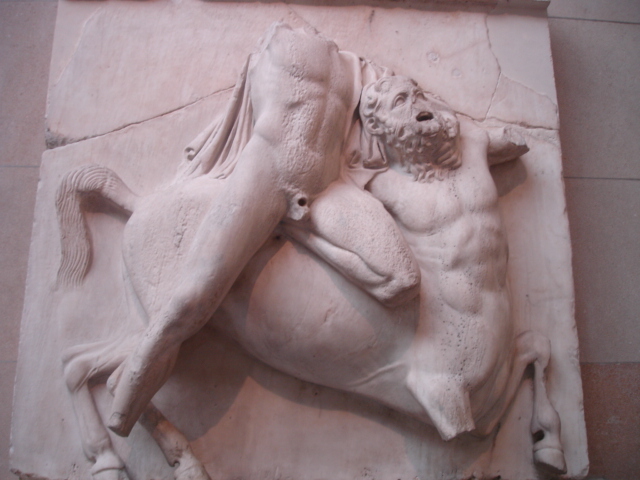 Although this is controversial, it contains Elgin’s marbles. Turns out Elgin’s marbles are not in fact small round balls that school children play with (not just me who wasn’t sure, m’kay?!) but sculptures taken from the Parthenon in Greece to save them from destruction or because we were once greedy imperialist pigs, depending on your views. Whether or not you agree with the morality of this, they are amazing – sculpted around 2,500 years ago, they feature centaurs and warriors and gods and godesses. 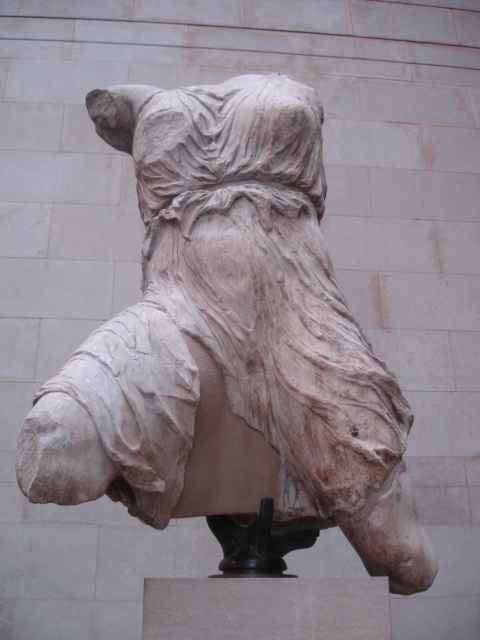 Oh and made me realise that gladiator sandals and the “grecian goddess look” are like sooooo 400 BC. Seriously though, the marbles may be sent back to Athens so go see them while you can. And as the museum itself says, its great to see these next to Egyptian, British and other artefacts to compare what was happening round the world at that time. 4. I recognised so much ancient jewellery and clothes that are fashionable nowadays that I reckon most designers must visit for inspiration. 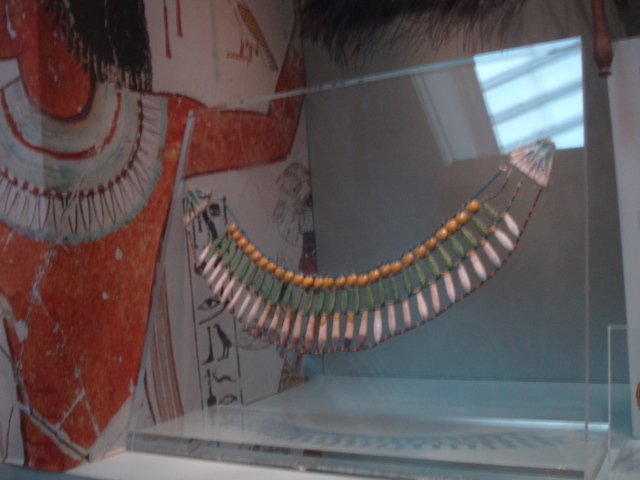 Below is some of the fabulous jewellery on show – makes you see the links between then and now. 5. I am really a small child underneath it all. I loved the mummies. 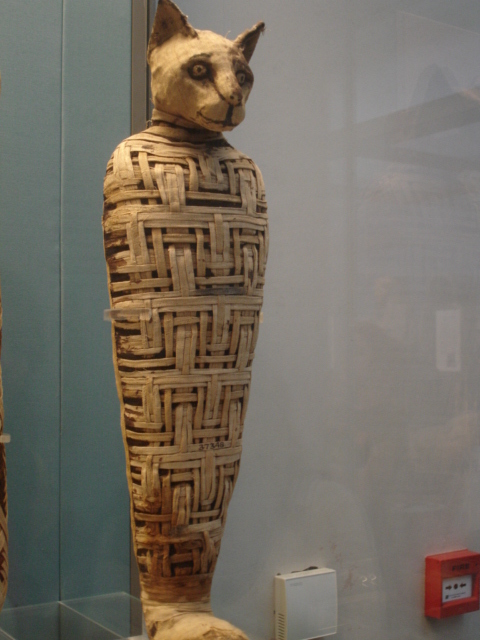 And especially this mummified cat which still makes me larf. I also saw a mummified crocodile, baboon and eel. He he. 6. 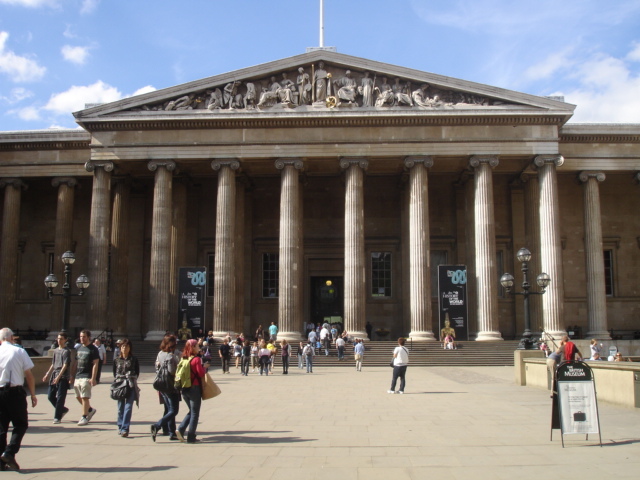 I must admit I was going round the Greek and Egyptian sections thinking – while these guys were doing this amazing art and sculpture and inventing stuff and using science and technology and wearing cool jewellery – what were we Brits doing? Dragging our knuckles along the ground and eating mud? Well turns out I was wrong – us Brits were also sophisticated back then, even before. 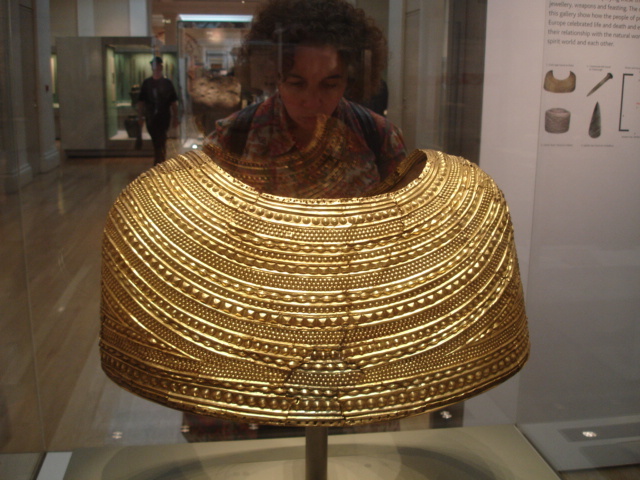 Below is a Welsh cape from 1600 BC – yes some lucky lady had this on her shoulders almost 3,500 years ago (helpfully modelled by the woman standing behind it). 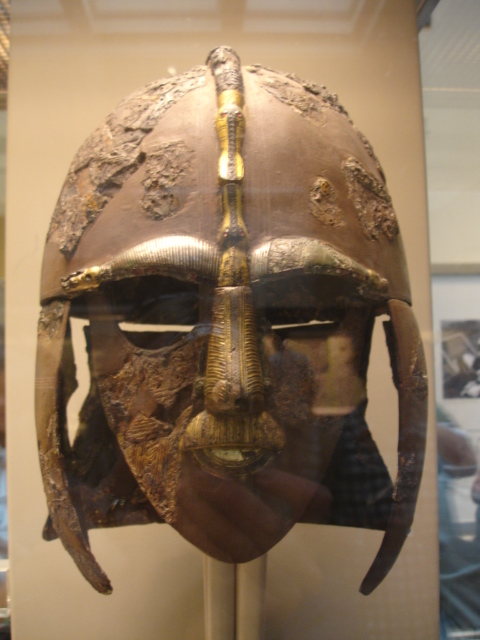 And the Anglo Saxon helmet is quite cool and its from 600-700 AD. So go in, grab a coffee and have a wander – its best to pick specific things you want to see as you can’t possibly take it all in at once. Or pick up a brochure for A History of the World in 100 objects and be taken from 2 millions years ago to easter island statues. 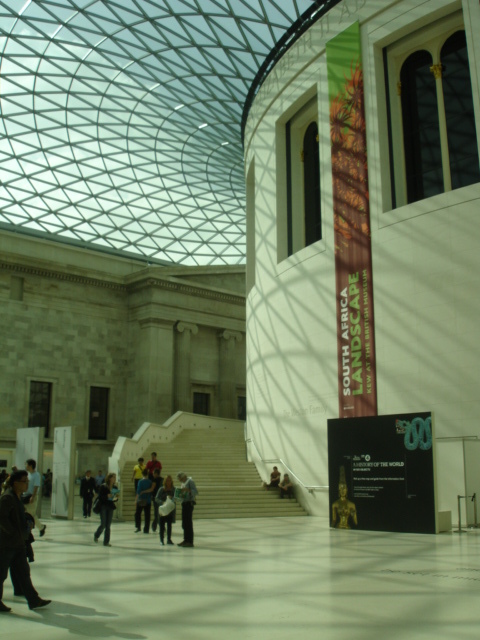 My Tazzie friend Pip works at the British Museum and invited me and Grumpo de Grump to see the Moctezuma exhibition. 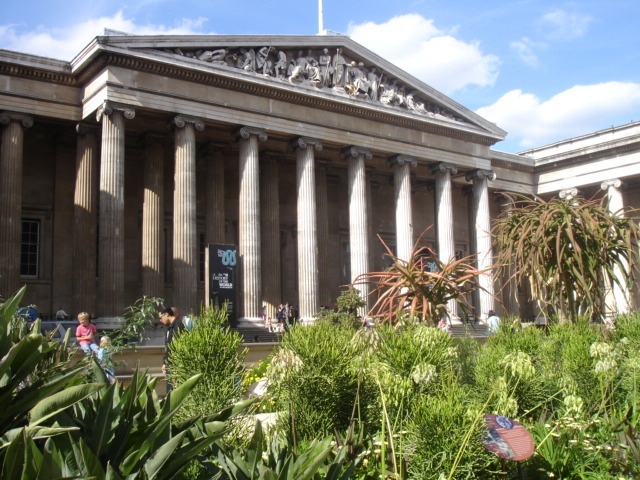 I’ve lived in London for 6 years now and have been to the British Museum woefully few times, ridiculous because it’s absolutely gorgeous – a Roman-looking building in the heart of Bloomsbury with a central court designed by Norman Foster. 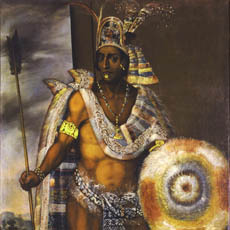 The exhibition is about Moctezuma, the last chief of the Aztecs before the Spanish came to Mexico. You are led through a series of rooms which start by giving information on how they lived, with impressive carvings, the Aztec sun stone, eagle murals, religious artefacts and Cities of Gold-style palaces. I particularly liked the gold jewelry (good replicas in the shop after – hello christmas presents) and jade- and turquoise-embossed god masks. I would have liked to know more about the human sacrificing and ripping-hearts-out-of-chests bit, but I realise my interest is very tabloid/late night TV, and maybe would distract from the main point. And you get to the main point suddenly, the somber music playing throughout hinting at what is to come. 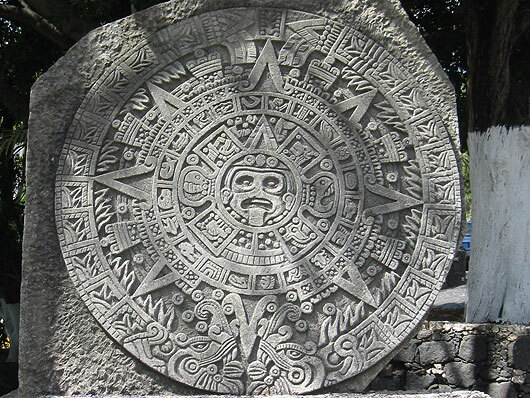 The well designed set leads you through Aztec history to where it was all destroyed. The Spanish under Cortes invaded Mexico in the 16th century and did what colonialists did the world over – brought disease, massacred thousands, pillaged artefacts and gold, destroyed religious symbols and replaced them with their own. I remembered the amazing murals in the Palacio de Bellas Artes in Mexico City depicting the torture of the Aztec chiefs and through work I did for Mexico Creativo I know that Mexico’s indigenous population is still suffering from discrimination and the eradication of its culture. At least you can still visit the ruins of this great civilisation in Mexico, and I seem to remember you could buy a sun stone painting on every street corner. If you want to see the rest of the museum, I’ve heard that the curators are incredibly knowledgeable and do a sort of “best of” guided tour which takes in 10 or so of the highlights for £8. I’m the sort of person that can only do about 1 hour in a museum before feeling like a sit down/beer (is this bad? ), and like others I’m not one for reading all the commentary, so this sort of guided, focused tour would suit me well. My friend Rach said the tour was fantastic and recommends Bea’s of Bloomsbury afterwards for tea and cupcakes, or you could do a short walk to Chinatown for some duck’s tongue and beer (have promised Pip not to mention where we went after which was FANTASTIC but which needs to remain a secret so we can still book a table! ).